For the past 2 years, Ash and I have been on escorted tours of the USA (East & West coasts), with American Sky. 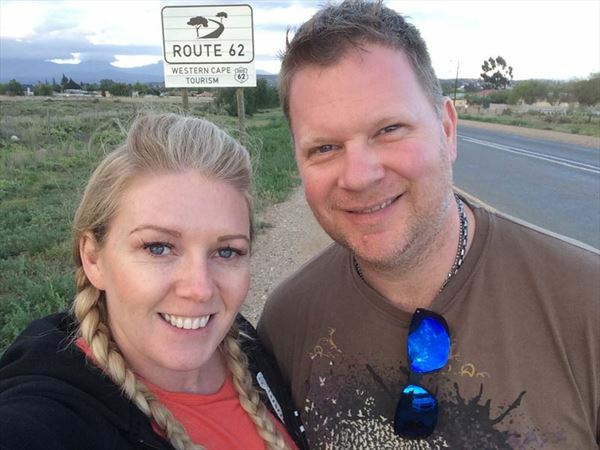 Although these were a great way to see a large amount of a vast country, we decided to opt for a self-drive holiday this time, to offer us a little more flexibility. We saw the ‘Garden Route and Eastern Cape Safari Self-Drive’ tour and thought it was perfectly suited to our requirements. As holiday-makers, we don’t go for sun or beach holidays; we prefer to explore and see as much of a place as possible. South Africa has been on the wish list for a while, so this trip was ideal. We researched all the places we would visit prior to going, which meant we were able to pre-book various excursions and plan exactly what we wanted to do and where. This was well worth the effort to maximise the time we had there. There were a few concerns from relatives about safety, but South Africa is a much safer place than it used to be and we never had any concerns during our trip. Cape Town was the first stop and our hire car from Hertz was a great way to get around. Service from Hertz was really good, with easy pick up and drop off. 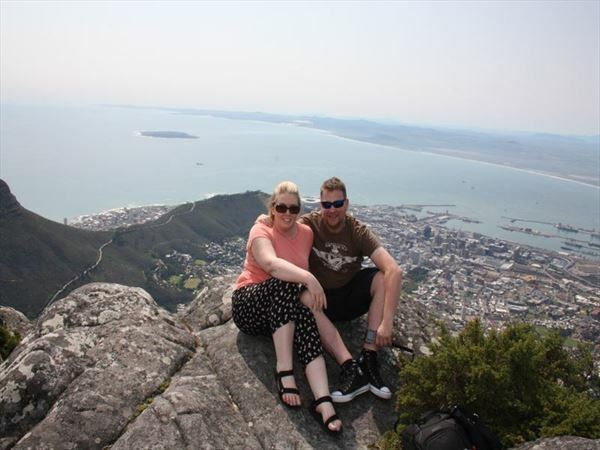 Table Mountain was the priority and we had glorious weather which gave us spectacular views of the Cape. 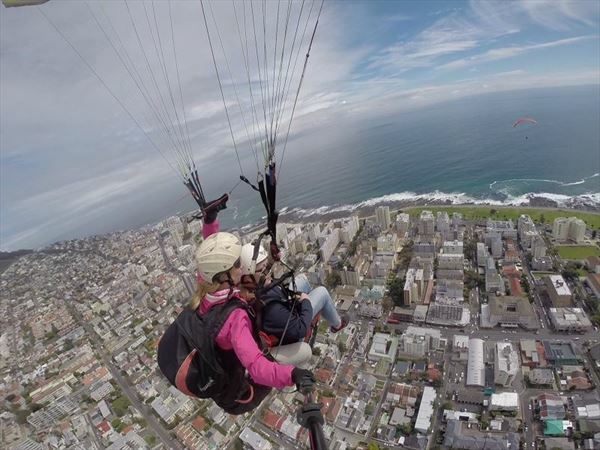 We also managed to paraglide off Signal Hill, which was totally spur of the moment, but one of the highlights of our trip and a superb way to get an aerial view of this wonderful city. A visit to the winelands is a must but leave the hire car behind; we wisely booked an escorted tour for this as we sampled a total of 19 different wines at 3 different estates! 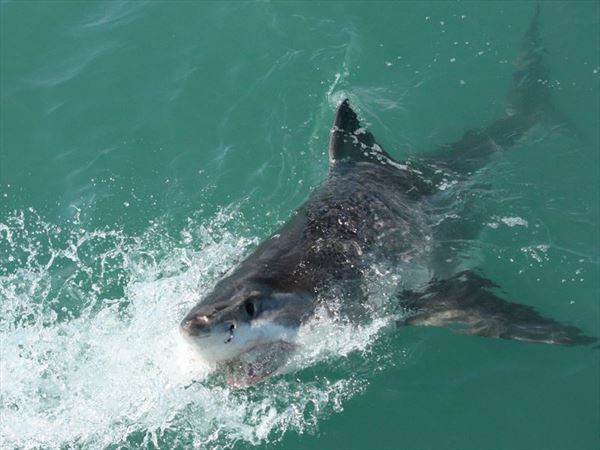 Other highlights include shark diving in Hermanus (you could go from Cape Town but why waste 4 hours of your day driving to Hermanus and back? 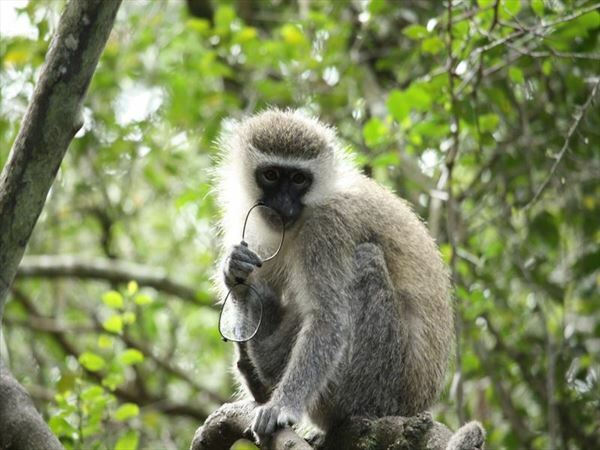 ), an ostrich massage at Cango Ostrich farm, a day driving through the Swartberg Mountains (another escorted tour) and Monkeyland in Plettenburg Bay. The monkeys here are free to roam and some of the best thieves on the planet! One tried to steal the sandal off my foot and we saw another proudly brandishing someone’s glasses. Ash’s highlight was doing the Bloukran’s Bridge bungy jump; the world’s highest bridge jump. This wasn’t for me; I was terrified just watching him! The accommodation was all of an exceptional standard and service was second to none; much nicer than we had in the USA. 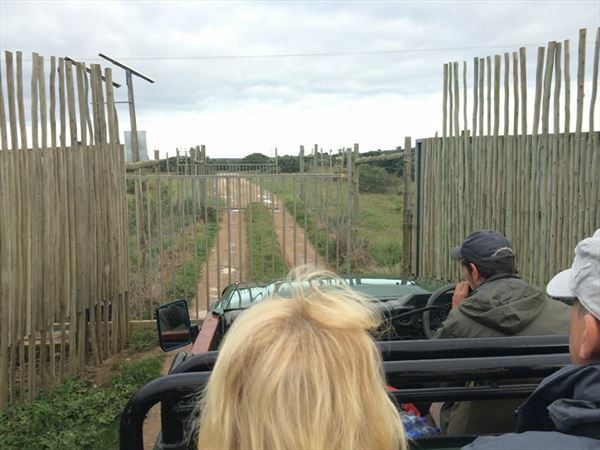 Our safari was for 2 nights at Kariega Game Reserve (about 1.5 hours’ drive from Port Elizabeth). We arrived just in time for the afternoon game drive. Driving through the big metal gates, down onto the plains was reminiscent of Jurassic Park, only we were greeted by wildebeest rather than velociraptors! We saw 4 of the ‘Big 5’ including a rare sighting of a black rhino; the leopard was the only thing we didn’t ‘spot’. We were kept with the same Ranger and guests for the duration of our stay, and had our own table for mealtimes. This was nice as we really got to know each other in a relatively short space of time. The sundowners were also a nice get together and a great way to end the evening game drives. As with any holiday, we really didn’t want to come home but this time something has really captured our hearts, so much so, we have found the place we want to retire to. That’s a little way off yet, so we’ve settled with booking again for next year. Tropical Sky have been brilliant at helping us organise a tailor made trip to help us get the most of our holiday again. South Africa really offers so much in terms of history, culture and scenery; 11 nights just wasn’t enough to do it justice, despite our best efforts to cram in as much as possible! The beauty of this place is that it a holiday can be as chilled or as action packed as you want it to be. Despite our thrill seeking, we managed to combine the two. We would like to thank Janet & Ash for sharing their story with us and hope to welcome you on another holiday soon..